2019 National Comparison Report - The attached comparison report shows where we are compared to the same time last year. This report will be sent weekly. 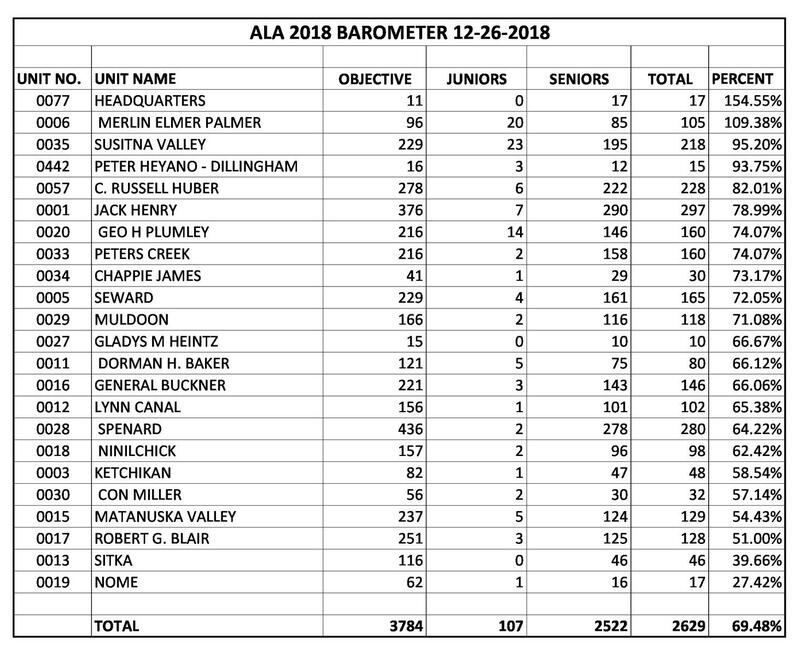 2019 Membership Division Report - The attached membership division report shows where divisions currently sit in membership numbers. This report will be sent weekly. 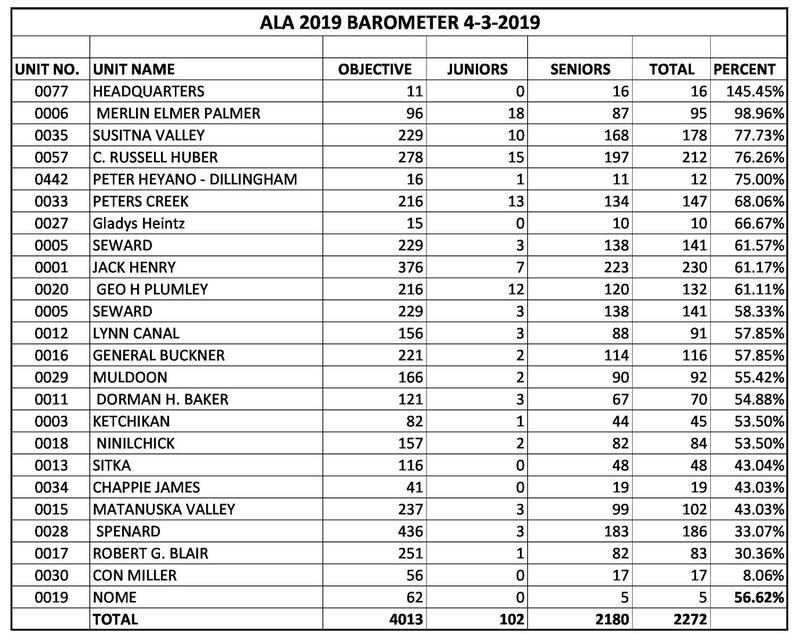 2019 National Category Comparison Report - Attached you will find a new membership category report which will be distributed monthly. The top department in each category will be seated towards the front at National Convention. We hope you find this report helpful as a motivating tool to end the membership year strong! Our membership is down a little from last week, but this is just a small dip and I am confident we can bring it back up by next week. Remember our 2% goal by National Poppy Day in May. I know we can do it, make those phone calls and renew those former members. I know many of you have membership drives planned for the next couple of months and I am so happy to see that you are pushing membership so hard. Membership is everyone's job and it is never ending, we always need members and new blood revitalizes us. New ideas, new information and energy helps the Unit, don't discourage one another. Be good to each other and remember we are all in this together! A sisterhood like no other, we are all working towards a common goal and our goal will be easier to accomplish in a friendly and loving environment.